I’m going to start off by saying this is one of the best young adult dystopias I have read (so far). Young’s writing style is fresh and enjoyable to read and really makes Saba’s voice very strong. The plot itself is full of action and twists and turns – it’s one of those books that just keeps you turning the pages. The book is written in first person from Saba’s perspective with colloquial language, which makes Saba’s character even more real. There are no speech marks which initially is a little confusing as to who is speaking but it was something I got used to quite quickly. It is fairly easy to understand who is speaking once you have adjusted, as the way the characters speak is very individual to them. Saba was a great heroine who had a very clear personality. And she wasn’t perfect. She can be quick tempered and cruel to her younger sister. But we can understand why and so we don’t hate her for it, because she also has very redeeming qualities. One of the strengths of the novel is character development – Saba clearly changed as a character due to her experiences (something many young adult novels seem to be lacking lately). The other characters were also strong although Saba definitely dominated. The post-apocalyptic setting was well thought out. I got a real sense of how small the world felt to Saba since she hadn’t set foot outside of her home, Silverlake, before. I really believed in the world – there were no holes or slip-ups where something seemed out of place. 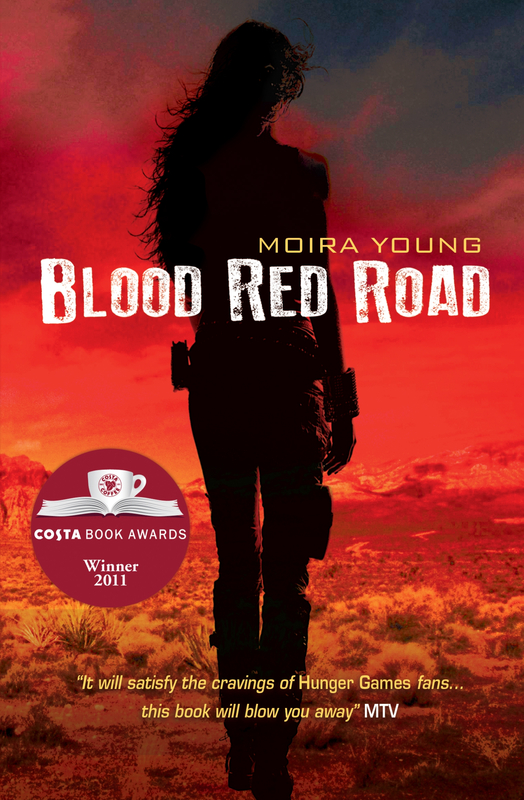 The plot was exciting and new, unlike so many other of the hundreds of dystopias on the shelves at the moment. I cared for the characters and wanted to know what was going to happen to them. I really felt I was on a journey with them. At no point did I know how it was going to end, or even what would happen in the next chapter. There were so many unexpected twists and turns. It was such a thrilling read. I don’t often give five stars. It has to completely blow me away. This didn’t quite do it but was incredibly close so I gave it 4.5 stars. I would heartily recommend this to everyone, especially people who like dystopia and want to read an excellent, well written novel with an exciting plot and great characters. While on holiday in Devon I saw the most peculiar sight in Exeter town centre and just had to share this photograph! 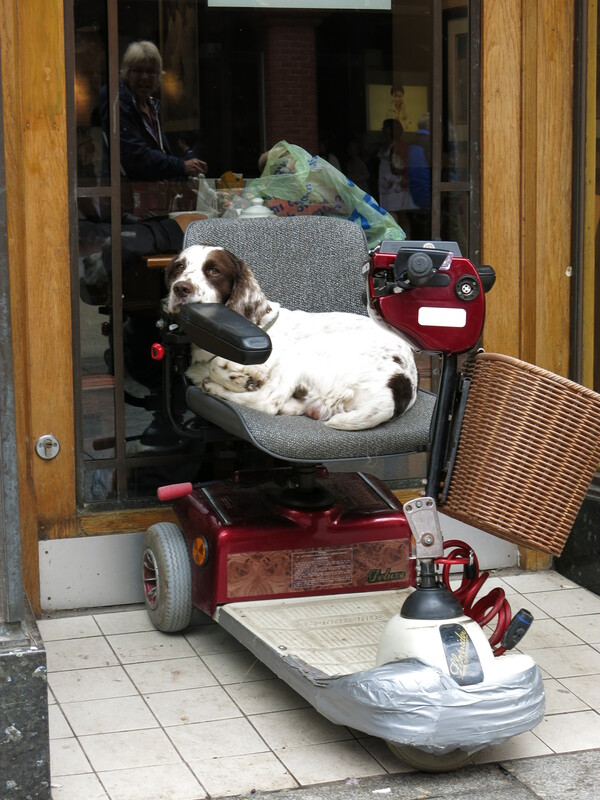 Sat outside a coffee shop was a dog on a mobility scooter.